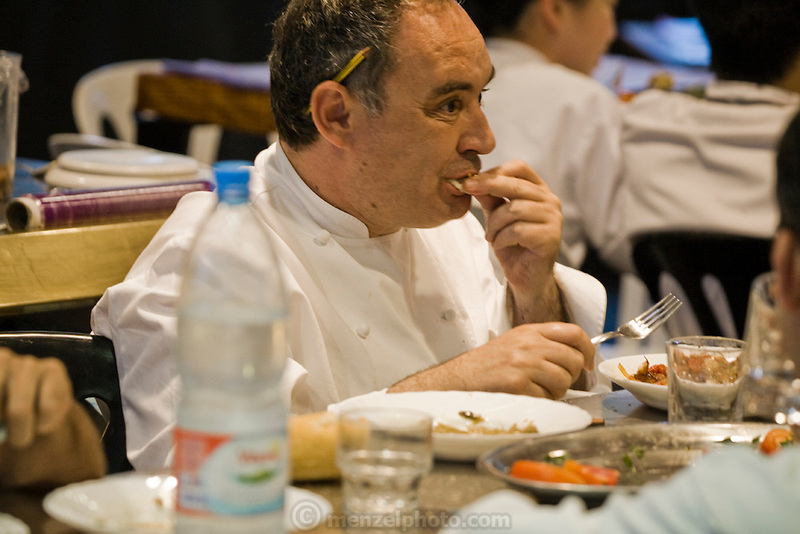 Ferran Adrià, a chef at the famous El Bulli restaurant near Rosas on the Costa Brava in Northern Spain, eats with staff in the kitchen of the restaurant. (Ferran Adrià is featured in the book What I Eat: Around the World in 80 Diets.) MODEL RELEASED.